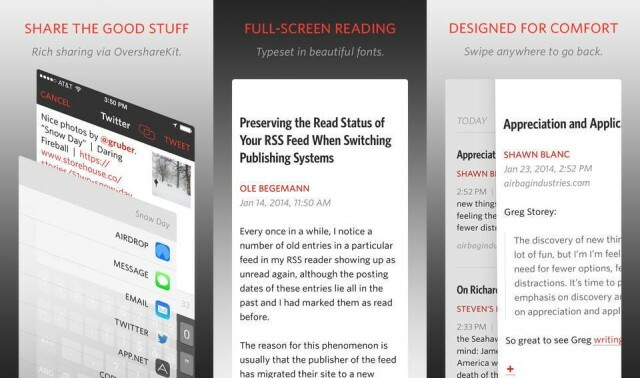 Unread is an iPhone alternative to the king of iPad RSS readers, Mr Reader. Not that it works the same way, or looks anything like Mr Reader, or has anything to do with it at all. No, the thing that the new super-minimal, gesture-based Unread has in common with Mr Reader is sharing. Mailbox for iPhone lets you send each email to a list, set it to snooze for a certain number of hours or days, or even just archive the email if you want. In addition, you can mark emails as read or unread, and star them, just like in Gmail itself. THis gives you yet another way to sort and classify emails on the go, which also transfers easily to the web version of Gmail, as well.